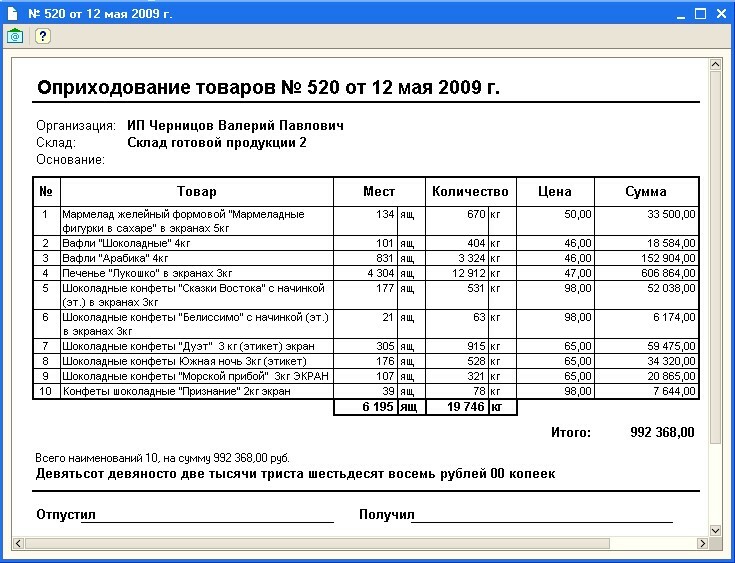 External printing form "Posting goods" with a total. Designed for 1C Enterprise 8.1, the configuration of "Trade Management". The form contains fields for a total of "quantity" and "Places". Loading the outer plate of the document "Posting goods."